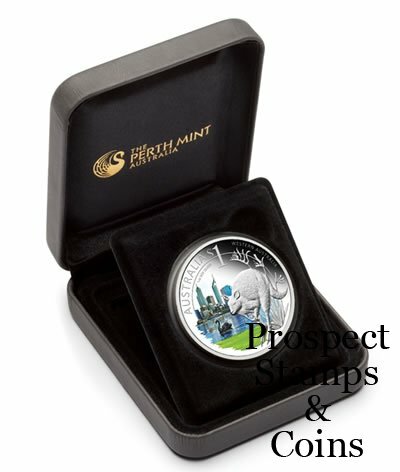 The Perth Mint attended the Perth ANDA Coin, Note and Stamp Show in February 2011 and released a very limited special release. It is the Celebrate Australia Wetern Australia 1oz silver dollar coin. 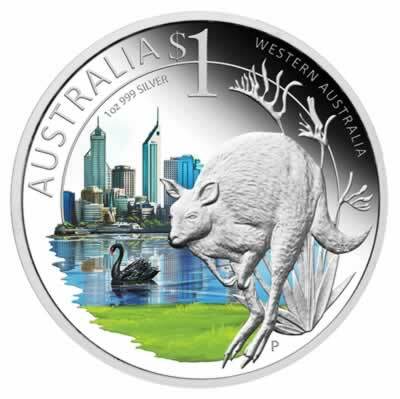 The coins reverse features the Perth Skyline and the Swan River. The design includes a Kangaroo and Western Australia's Floral emblem, a Red and Green Kangaroo Paw. No more than 2,500 of these ANDA Perth Coin Show Specials will be released. 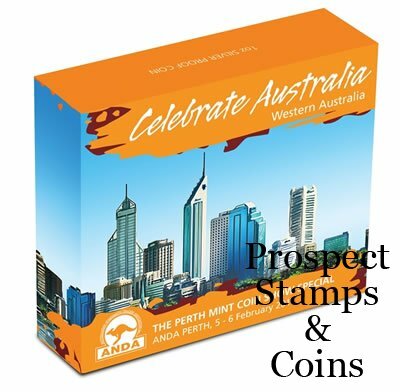 Each coin is housed in a presentation box and illustrated box-shipper featuring the logo of the Australasian Numismatic Dealers Association (ANDA). Each coin is accompanied by a numbered Certificate of Authenticity.